Download Computer Accessories Website Template Free PSD. This is an elegant concept of a website for showcasing electronic products and Computer accessories. The design focuses on the premium and luxury styles to sell your products online. It only comes in a dark theme but you can modify it and make changes according to your taste. 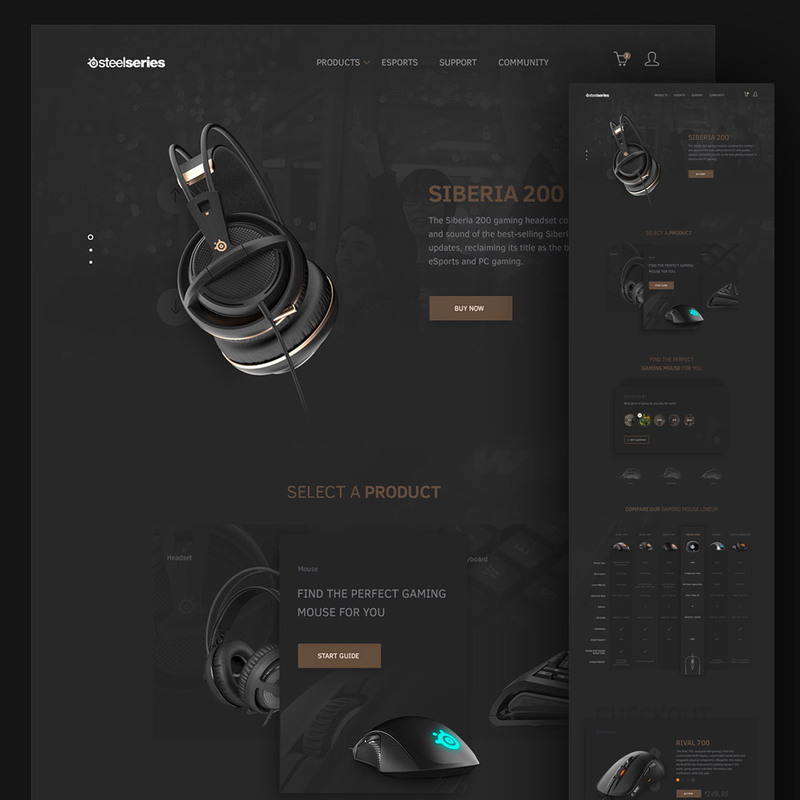 This Computer Accessories Website Template Free PSD can be use for any type of product related website. Feel free to download and use it in your upcoming personal and commercial design projects. Hope you like it. Enjoy!